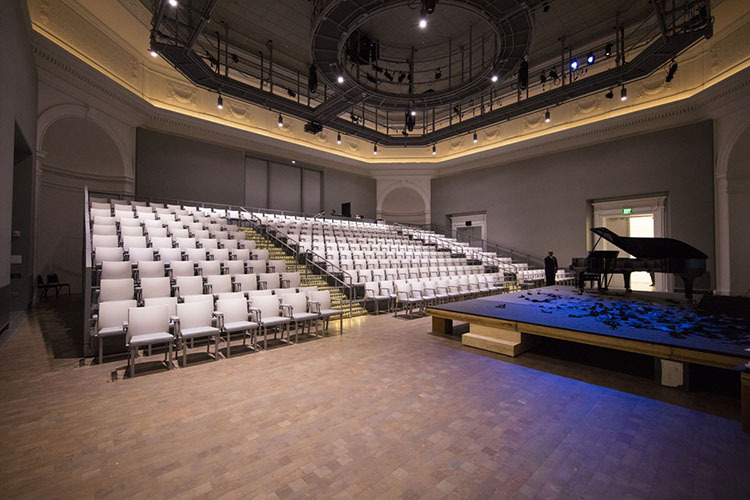 Home of one of the world’s leading opera companies, the new Dianne and Tad Taube Atrium Theater located in the newly renovated Diane B. Wilsey Center for Opera features a Meyer Sound Constellation acoustic system. The San Francisco Opera (SF Opera) is the first opera company to rely upon Constellation. 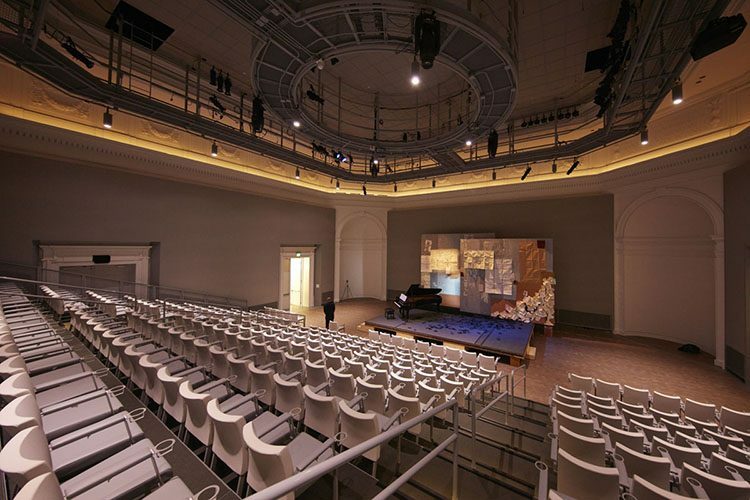 The system is custom-designed to provide the showcase venue with a range of acoustic environments to support the adventurous exploration of operatic programming for new audiences. 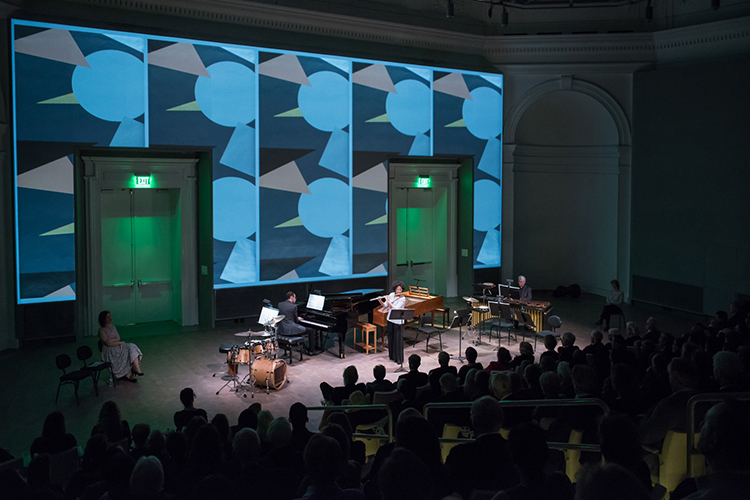 This ability to shape acoustics on demand allows SF Opera to expand from traditional theatre-style seating to cabaret settings with café tables and in-the-round performances, or even edgier configurations. 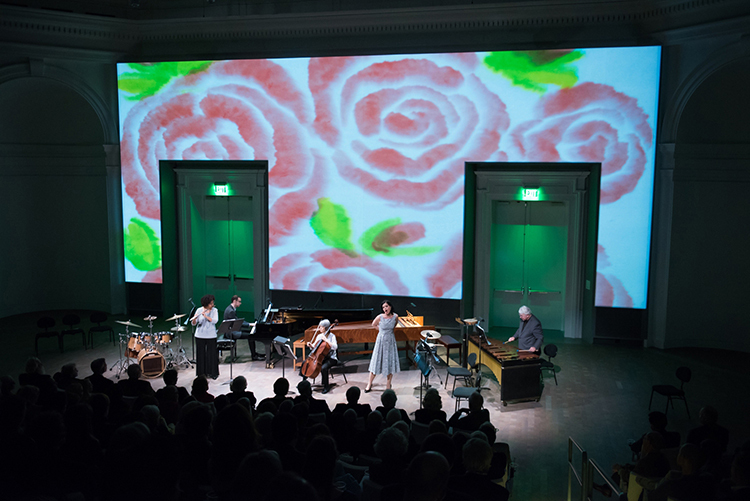 Elkhanah Pulitzer approaches the Atrium Theater as an incubator and testing ground for new ideas – a litmus test for what opera can be in the future. “With Constellation, I can literally think outside of the box. I’m no longer limited by the shape of the room, or whether the acoustics will support a new performance idea. Now the theatre is a real partner to the company as we push the boundaries of performance and create new experiences for new audiences,” Pulitzer said. After six decades as the first home of the San Francisco Museum of Modern Art, the Veterans Building fourth floor sat for many years as an underused and neglected space for occasional City Hall offices and law library. SF Opera selected the award-winning architectural firm Mark Cavagnero Associates to transform the venue into a state-of-the-art theatre and education/rehearsal studio now known as the Wilsey Center. The D-Mitri digital audio platform provides the backbone for Constellation, and hosts the patented VRAS acoustical algorithm. This works in conjunction with 24 widely distributed microphones and 75 small, self-powered loudspeakers mounted discreetly within the theatre walls and ceiling. San Francisco-based Arup provided acoustical and AV consulting services, with Kurt Graffy leading the team. Santa Rosa, Calif.-based PCD installed the system.